Reverend Susie Crawford Beil holds a Master of Divinity degree from Princeton Theological Seminary and is an ordained minister in the Presbyterian Church (USA). She also earned a Masters in Environmental Health from the University of Washington and a Bachelor of Science from Gonzaga University. She has served as lead pastor of Summit Avenue since August of 2012. In addition to leading the congregation in worship and discipleship, Pastor Susie is also available by appointment to meet with individuals and couples for pastoral care, prayer and counseling. A certified facilitator for the SYMBIS pre-marriage assessment and counseling program, she loves to meet with couples preparing for marriage. Susie and her husband have lived in Bremerton since 2008 with their three boys. Susie loves reading, cooking gardening, and spending time with family and friends. As a family, they love the outdoors and enjoy camping and hiking in the glorious Pacific Northwest. Jerry Benjamin is a graduate of Bradley University, McCormick Theological Seminary and the Iliff School of Theology. Jerry served churches in Minnesota, Iowa, Colorado and Washington. He and his wife, Barbara (a nurse and also a Presbyterian minister) reared two sons, Steven and James. Because of Jerry and Barb’s shared ministry, Jerry was able to teach at the University of Colorado, Iliff School of Theology, Chapman University, Olympic College and the Lavay Gymnasium in Miscolc, Hungary. Jerry also served as a delegate to the churches of the Soviet Union on three occasions. Jerry is still curious about new people and new things. Julie is an organizational mastermind and she has a keen eye for graphics. Along with her knack for multitasking, she keeps our office running efficiently and provides us wonderful publications, posters, flyers, and more. Julie has two beautiful children and a wonderful husband. When she is not spending time with her family, you will find her volunteering for the Kitsap County Cavy and Square Dancing 4-H programs. Julie is also on the board for Twin Lakes Youth Camp. Julie lived in Las Vegas with her family for eleven years, but she and her husband decided to move back to beautiful Washington State to raise their children. Hayleigh is our Childcare Ministry Leader. Her hobbies include sewing, reading, and cheesecake eating. Hayleigh and her husband, who serves in the Navy, moved to Kitsap early in 2018 with their one-year old son. When she is not at Summit, you can find Hayleigh working hard towards a teaching degree. Hayleigh dreams of owning a Montessori school someday. Hayleigh has worked in childcare for several years, she started with babysitting for family members. When she got married, and moved across the country, she became a nanny for other military families. The hardest part of the job, was saying goodbye to the kids. Melissa is our Childcare Ministry Leader. She is a wife and mother of a beautiful 1-year-old little girl. Melissa loves spending time with family and friends, travelling, listening to music and dancing with her daughter, reading, and eating all kinds of foods! Her favorite part of the day is when she wakes up in the morning, opens the blinds, and lets the daylight shine through the house! She loves the Pacific Northwest, and Bremerton, which she says is a gorgeous place right on the water with tons of trees, Melissa enjoys being able to explore the city with her family. Melissa attended Saint Martin’s University in Lacey, WA where she received her Bachelor of Arts in Social Services and Psychology. She is currently attending Grand Canyon University online for her Master’s degree in Professional Counseling and Mental Health. Melissa is very excited to be part of the Summit team, and have the opportunity to spend time with the children and their parents of the church! By day, Woody is the Chief Operations Officer at Port Townsend’s Gray Wolf Ranch, an intermediate residential treatment facility for chemically dependent young men. His first musical studies were with Harriet Ballard and Dr. William Crosbie of Wheeling, WV. For two years he was an organ performance major at West Liberty State College in WV before entering the Pontifical College Josephinum in Columbus, OH, where he completed a BA in English Literature and an M.Div. in Theology. In 1999, he began private study with Dr. Marilyn Biery, then the principal organist at the Cathedral of St. Paul, St. Paul, MN. 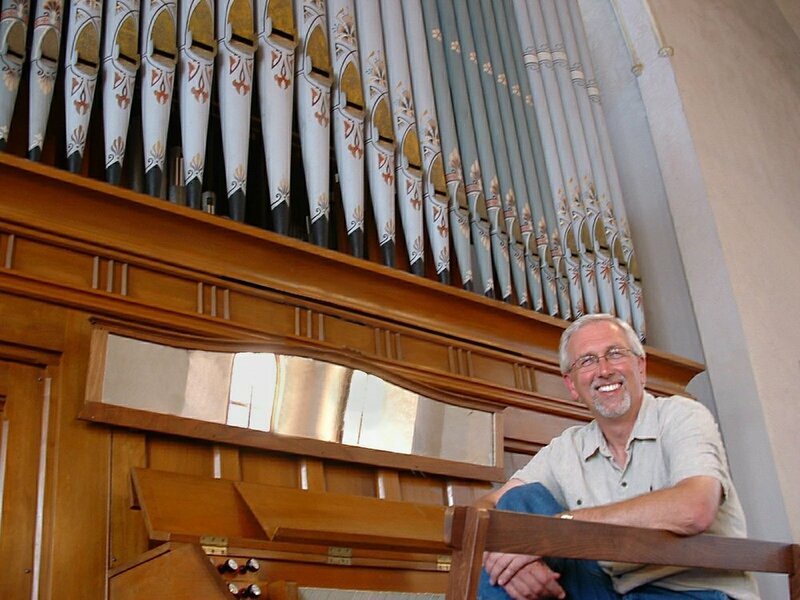 While studying there he was a regular substitute organist at the Cathedral in addition to his regular duties as Organist at Holy Trinity Lutheran Church in Minneapolis. While presenting a series of recitals in Sweden, Woody recorded a program on the large, magnificent Marcussen and Sons pipe organ in St. Jacob Church, Stockholm. That recording entitled Live In Stockholm is available on iTunes. When not glued to his office chair or an organ bench, his favorite seat is the saddle of his Harley-Davidson motorcycle! Joann leads an eclectic musical life as an organist, pianist, choral director, workshop presenter and music teacher. Joann holds a Master of Arts in Music degree from Pacific Lutheran University, a Bachelor of Music Education degree from Indiana University, and a State of Washington Professional Education Certificate in K-12 Music. Joann studied organ with David P. Dahl, and she continues her piano studies with Paul Roberts of the Guildhall School, London, England. Since the age of fourteen, Joann has had the privilege of ministering through music as an organist, pianist, and choir director at churches of various denominations. In addition to music ministry, Joann serves in leadership positions in professional musical organizations. Joann is the State Chair for Organ for the Washington State Music Teachers Association; Certification Chair, Membership Chair, and Teaching Mentor Chair for the Kitsap Music Teachers Association; and is active in the Olympic Peninsula Chapter of the American Guild of Organists, having just completed a four-year term as Chapter Dean. A Nationally Certified Teacher of Music in both piano and organ, Joann especially enjoys teaching music to adults and children.